Learn the rules and props in NFL, NBA, NCA, MLB, NHL, horse racing, auto racing and other sports. How much you can bet, overtimes and other rules you need to know for sportsbook betting. Bets are considered official after 55 minutes of play. If 55 minutes of play are not conducted, a bet on the team is treated as no action, and a parlay bet will be reduced accordingly. Bets on 1st, 2nd halves and all quarters will be considered action upon completion of the period in question. Bets on spread, money line, totals for the whole game and all bets on second halves always include overtime scoring. Bets for 4th quarter do not include overtime scoring. All bets on second halves include points scored in overtime. Bets placed on 4th quarters do not include points scored in overtime. Bets on first half and second half totals will only be official if the game the is played for 55 minutes or more. Second half props will always include OT, unless indicated. All 4th quarter props do not include overtime, unless indicated. All ties in special teasers are considered a loss. Any wager on a quarter will only take into account the points scored in that particular quarter. Special teasers for football are: 13 points and 10 points. First team to score in the game. If a team scores and the game is cancelled or postponed afterwards, all wagers stand regardless of how many minutes have been played. Must be an official game (55 minutes of play). If the game goes into overtime, the team that scores last will be the winner. 7 1/2 minutes must be played. If the game is cancelled or postponed after 7½ minutes of play all wagers stand. Must be an official game (55 minutes of play) and includes overtime. All players must take the field and play for action. Results are based on the official stats from the game. A kicker who does not participate, due to shutout, but is suited up and available is considered to have played. Players must be active (as per the official NFL Game Book) for bets to have action. The player in possession of the ball as the plane of the end zone is broken is deemed the winner. QB’s listed must cross the goal line with the ball to be winners. If the conference has co-champions, the first team picked by the BCS is graded as a winner, and all other teams are losers. If a conference has co-champions, and no team is picked by the BCS, ALL team bets will be graded as “No action” and refunded. NBA games must go at least 43 minutes to have action. For all other basketball leagues the games must go at least 35 minutes unless otherwise specified. The special teaser in basketball gives out 7 points. Teams to win each conference is for the regular season only. In the event of a tie, the team who gets the lower seed (1 seed is lowest) in the conference tournament is the winning wager. In general the home team in International Basketball is displayed on the bottom, but in case of games played on a neutral court, either team can be placed on the bottom. Player to Score the Most Points Props will only consider the players listed for the specific day’s games. In case of a tie between 2 or more players the wager is no actioned. Props worded as “player must start” indicates that the player must participate in the game for the bet to have action. NHL 3 way bets don’t include overtime. In three way lines in the event of a draw, the draw line will be deemed the winner and the sides will be graded as a lost. [Bruins + 1/2 Even] [Kings – 1/2 -1.40]. You must lay 1/2 goal and $140 to win $100 on the Kings. You must bet $100 and take 1/2 goal to win $100 on the Bruins. Grand Salami: The Grand Salami will be decided by the total goals scored in all games scheduled in the given league for the given day. All scheduled games must play their three full periods. If any scheduled game is canceled or stopped before three full periods are played, all wagers on the Grand Salami will be canceled. In general the home team in International Hockey is displayed on the bottom, but in case of games played at neutral sites, either team can be placed on the bottom. At least 55 minutes of play are needed for bet to have action. Overtime counts unless otherwise stated. International Hockey: Regardless of the number of goals scored during the shootout portion of overtime, the final score recorded for the game will give the winning team one more goal than the score at the end of regulation. The game is official (action) after 55 minutes of play; NHL 3 way is settled without overtime (60 minutes of play)(Away/Home/Draw). Any baseball wager listing one of the pitchers will be graded as no action if team’s pitcher is changed before the game starts. All wagers submitted as listed will be deemed as no action in case of a pitching change before the game starts. All baseball wagers submitted as action will stand in case of a pitching action. 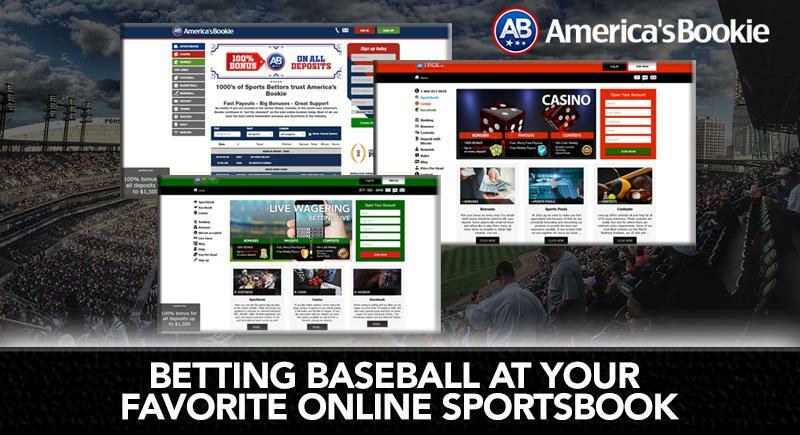 When wagering on total runs or run lines, the game must go to 9 innings, or 8.5 innings if the home team is leading, otherwise it will constitute a “No Action” wager, and all money will be credited accordingly. Baseball wagers are accepted as “Listed.” In the event of a pitching change prior to the game, all wagers on the game with said listed pitchers are considered “No Action.” All wagers will be refunded to the customers account. Starting Pitchers must throw at least one pitch for wager to be deemed “Action.” Each team’s starting pitcher is defined for betting purposes as the pitcher that throws the first pitch. When choosing Action (team against team, regardless of the starting pitchers) there might be an adjustment on the price if the starting pitcher does not start the game since the original price was based on the listed pitcher starting the game. Any and all baseball series wagers must have all three games played by the end of a specified date for the wager to have action. If all three games are not played by that specified date then all wagers are NO ACTION, regardless if one team has two wins. All three games must be official by Las Vegas Gaming Standards (see our rules regarding baseball wagers and what constitutes an official result). NOTE: If we provide a baseball series price for a series that has four games, for grading purposes, the wager is based on the initial three games. In Baseball, all games that go at least the full 9 innings and finish tied as a result of a suspension of play, shall be graded as a push on all money line bets. However, all run line and total bets will have action. Note that this is an extremely rare occurrence. 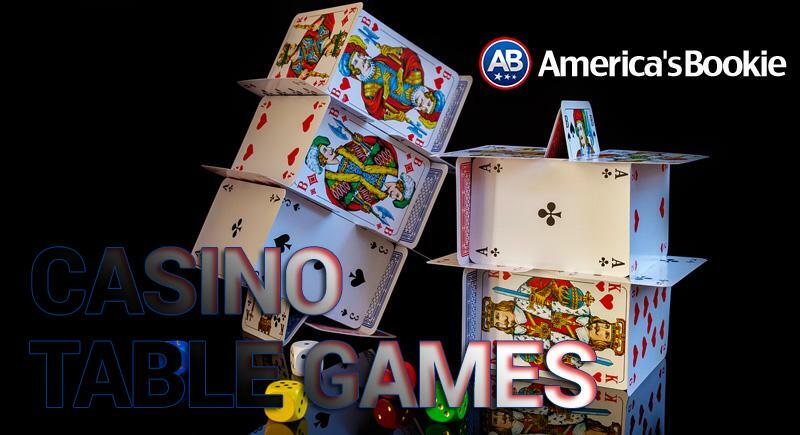 In the event of a change in Las Vegas rules, AmericasBookie.com will adhere to the decision set forth in Las Vegas. Baseball Player and Pitcher Props are listed pitchers. The game must go a full 8.5 Innings for bets to have action. If there is a pitching change, all player props for that game will be closed immediately and when the game starts and its confirmed that a different pitcher threw out the first pitch other than the listed pitcher, those props will be graded No Action. All batters in player props must be in the starting line up for action. Any baseball, softball, or little league game ending early as a result of a mercy rule will have action on all wagers (unless otherwise noted). Regardless of their starting/completion date, NCAA baseball tournament, NCAA softball tournament, international tournament and youth league tournament games have no action with the final result score. Grand Salami: The Grand Salami will be decided by the total runs scored in all games scheduled in the given league for the given day. All scheduled games must be official and complete to be considered for the Grand Salami total. If any scheduled game is canceled or stopped, all wagers on the Grand Salami will be canceled. All wagers will have action regardless of the starting pitchers. When placing a bet on the outright winner of a race, your driver must start the race for the bet to have action. Both drivers in a matchup bet must start the race for the bet to have action. In league championship betting, a driver must race in at least one race during the season for your bet to have action. The start of any motor race is defined as the signal to start the warm-up lap. 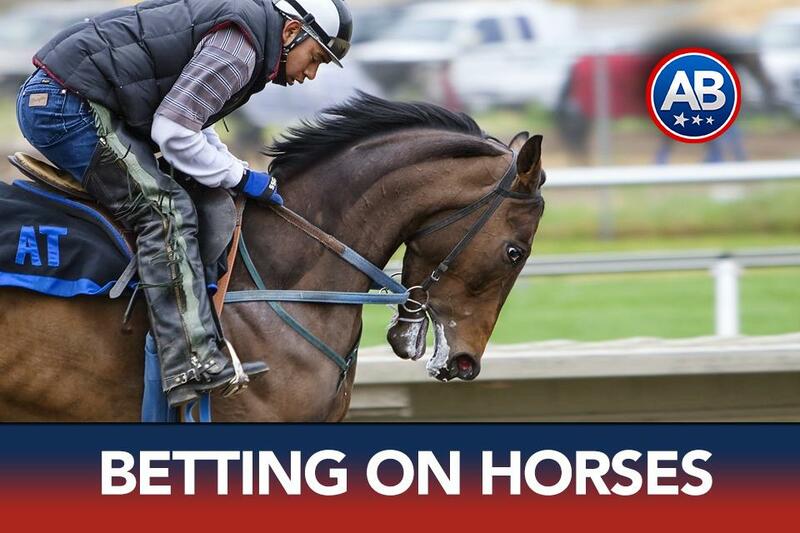 The race must complete the scheduled number of laps and/or distance for specific proposition bets (pertaining to number of laps and/or distance) to have action; matchups, finishing position props and future bets will have action regardless. Races must be run within one week of the scheduled date for your bet to have action. The official stopping of a round before the sounding of the bell does not constitute a full round. A full round is only considered for wagering purposes when the bell sounds signifying the end of said round. A Boxing/MMA match must take place within 2 months of the specified date for your bet to be deemed “Action”. For tournament match-up betting, both players listed in the match-up must tee-off for your bet to be deemed ”Action”. The player with the most completed holes wins. If the players complete the same number of holes, then the player with the lowest score wins. If the players are still tied then the wager shall be deemed ”no-action” and all monies will be refunded. Tournament and final round matchups do not include playoff holes (unless otherwise specified). Single day match-ups are wagers on the particular day’s 18-holes. Single Day match-ups do not include holes played as part of a completion from the previous day’s round or playoff holes considered part of the overall tournament score. Should a day’s round be shortened, or otherwise affected, due to weather conditions and the round is continued the next day, the full 18 holes shall be considered in determining the outcome of the bet even if they are played over two days. Both golfers must tee off for action. If both players end the 18 holes in a tie, the money line wagers shall be refunded and stroke line wagers will be deemed ”Action”. Golf Odds to Win: Wagers on a golfer who does not play in the tournament are graded as ”no-action” and all monies refunded (unless otherwise specified). A golfer is deemed to have played once he or she has teed off. In the event of a player withdrawing after having teed off, wagers on that player will be lost. In the event of a dead heat (a tie) in a Future wager, stakes will be divided by the number of selections who tied with the divided stake settled at full odds. An example of a tie in golf would be 2 or more golfers having the best score for Top Country Player in a major tournament. If a game will be played at the original away team’s ground in which case all bets will be no action. Match details, such as dates and kick-off times, displayed on the website are for guidance only and may be amended or taken off the board at any time. Soccer bets will have no-action if the match is officially postponed with no make-up date announced or if the make-up date is more than 24 hours away. If a match is abandoned and/or suspended all bets shall be void unless the relevant wagering option has already been decided. For example, a bet on the ”First Goal Scorer” will stand if a goal has already been scored. For betting purposes, the winner of an event will be determined on the date of the event’s conclusion. We do not recognize suspended games, protests, scoring amendments, result reversals or overturned decisions. Soccer player props like “Player to score the first goal, last goal and first goal for their team” will be settled on 90 minutes of play. Extra Time and Penalty Shoot-Outs do not count towards the wager. Where a venue is changed, bets will stand unless the game is to be played at the original away team’s ground in which case all bets will be voided. Bets taken on ”Half Time Results” will be settled on 45 minutes of the first half plus any added injury time or stoppage time. Bets taken on ”Draw No Bet” must predict which team wins the match in regular time (90 minutes plus any time added by the referee in respect of injuries and other stoppages). In the event of the match ending in a draw (tie), bets will have ”no action”. Future bets placed on ”Odds to Win” must predict the team winning the division, league or any other tournament and will be paid as soon as the said division, league or tournament has finished. Bets taken on ”Correct Score” must predict the match score at the end of regular time (90 minutes plus any time added by the referee in respect of injuries and other stoppages). Bets taken on ”Half with Most Goals” must predict which half has most goals scored by either team in regular time (90 minutes plus any time added by the referee in respect of injuries and other stoppages). When betting on ”Soccer Special Props” or ”Match Specials” you are required to predict the team or teams to win the game, event, tournament, competitions, match-up or any other situation within the game. Any cancelled or postponed game will cause the entire event to have ”no action”. Soccer Specials will be settled on 90 minutes of play. An Asian handicap is a type of wager where a handicap is applied to the match in order to make the prices more equal. The favorite in a game will have a negative handicap represented with a (-) symbol and will have to win by more goals than the handicap in order to be a winner. The underdog in the game will receive a positive handicap represented with a (+) symbol which will be added to the final score. The handicap will be added to one side only. Whole ball handicap (for example: -0,-1,-2). Half ball handicaps (for example: -0.5, -1.5, -2.5). Split ball handicaps (for example: 0 and -0.5, -0.5 and -1, -1 and -1.5). A split ball is an offering between a half ball and a whole ball, the wager is being split equally between the whole ball and half ball handicaps. The display of 0 and -0.5 ball handicap will show as -0.25 ball handicap. For an in-depth explanation on how asian handicaps work please visit the following link. For corner kick props on soccer, “Bets on number of corners” refers to number of corner kicks taken and not corner kicks awarded. A yellow card counts as one point and a red card counts as two points. The maximum number of points that a player can receive during a game is three (one for a yellow and two for a red, the second yellow card does not count). Any bookings to a non-player do not count towards the wager. Extra time does not count nor do cards shown after the final whistle count towards the wager. Penalties means betting on a penalty being awarded and taken during a game. Penalty Awarded means betting to predict whether a penalty will be awarded in a game, the options available are “Yes” or “No”. Penalty Shootouts means betting on which team will win the penalty shootout. In spread betting the result includes all penalties taken in the shootout, including sudden death. When betting the total the result only includes the regulation ten penalties in the shootout and does not include sudden death. Clean Sheets means betting “Yes” on a team to keep a clean sheet (not to concede a goal) or “No” on a team to keep a clean sheet (to concede a goal). To win to nil means to predict if a team can win the game without conceding a goal after regulation time, excluding extra time or penalty shootouts. For wagers referring to tournaments, goals scored in extra time will count. On general soccer betting props that mention odd or even sides, 0 (zero) is counted as an even number. For tennis Match Betting, two full sets must be completed for wagers to stand. Winner will be the player who advances to the next round. If fewer than two sets are completed all wagers will be considered no action. For tennis Set Betting, if the match does not start or is incomplete due to either player’s incapacity or disqualification, then all bets are no action. Player to win 1st set prop will be graded after the first set is complete, regardless of the final outcome. Any event or prop that has an incorrect description will be deemed as No Action and all tickets will be refunded.